"System Dynamics Modeling for Engineers" (SA 10526) was held at the Pamplona Learning Spanish Institute (PLSI) in Pamplona, Navarre, Spain, May 9-31, 2018. It was the only College of Engineering Maymester program in Spain this year and was open to all engineering undergraduates, who received three credits of Spanish language instruction from PLSI as well as engineering credits. Goñi, assistant professor of industrial engineering with a joint appointment in biomedical engineering, coordinated the program and taught the System Dynamics component. He brings a unique perspective to the course since it takes place in his home area. 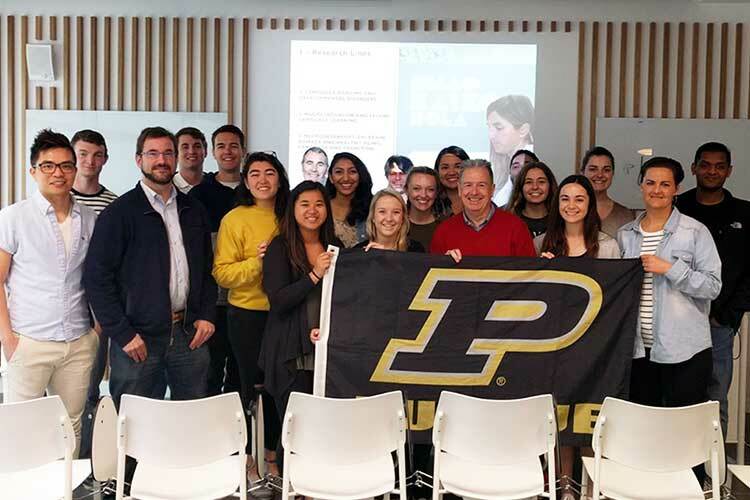 "The course taught students core topics within system dynamics (e.g., causal loop modeling, stock and flow modeling, analysis software) through the lens of issues in and around Pamplona," said Patrick “Doc B” Brunese, IE Director of Academic Programs. There were 13 total undergraduate students in this year's course: nine industrial engineering students, three biomedical engineering students, and one mechanical engineering student. IE staff included Prof. Goñi and Elizabeth Allum, IE senior academic advisor. Duy Duong-Tran, a PhD student member of Goñi's CONNplexity Lab, also took part in the trip. The group appreciated the help and support of Alfonso Larráyoz, director of the PLSI. Two of the students took an advanced Spanish class with students from other European and Asian countries. "The best part about my study abroad experience was learning Spanish in a class of people who spoke different languages, but we were all able to communicate with each other in Spanish," said Tori Schweiger, a senior in industrial engineering. "This was such a valuable multicultural immersion for me." "The greatest part about study abroad for me was that I never stopped learning - even when class was over," said Maggie Roth, an industrial engineering senior. "There were so many opportunities to learn something new about the country, culture, mannerisms, language, and more that really made this opportunity so worthwhile and meaningful." "The best part of study abroad for me is being completely immersed in a new culture," said IE senior Michael Hagan. "It is a learning experience like no other and really gives you a unique perspective." "The thing I most appreciate about studying abroad are the things we learn that cannot be taught in the classroom," explained Maria Conversa, another IE senior. "Immersing ourselves in a new culture and environment and learning to embrace the unknown as our new home has taught me so much about the world and about myself." Mark Humphries, also a senior in industrial engineering, appreciated the number of field trips and cultural experiences. "It was a very fun and eventful experience," he said. For information about the 2019 Maymester course, interested engineering students may contact Dr. Brunese, Prof. Goñi or Elizabeth Allum. 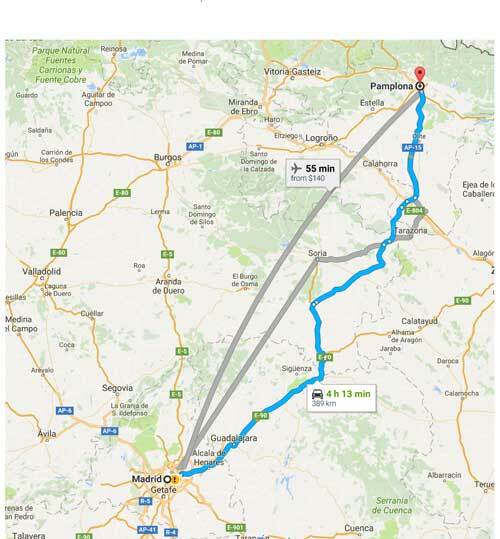 PLSI is located in Pamplona, capital of the province and autonomous community of Navarre, about 240 miles northeast of Madrid in northern Spain.